FORT WAYNE, Ind. — Do it Best has announced the addition of Kyle Walters as its newest regional sales and business development manager. 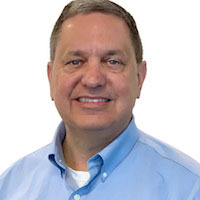 Walters brings nearly 30 years of industry experience to his new role, including a previous stint as a territory manager with Do it Best from 1991-1996. He also served as president of Elliott’s Hardware, a five-location chain in the Dallas area, for 15 years. Walters was most recently Vice President of Sales for Winzer Corporation, a leading distributor of industrial and automotive repair products and support services.